I remember the moment that I received an email from a company telling me that they’d pay me $100 for a link from my website. I was excited about free money (! ), however I asked if I should do it in a blogging group. Luckily, someone stopped me before I could take up their offer. 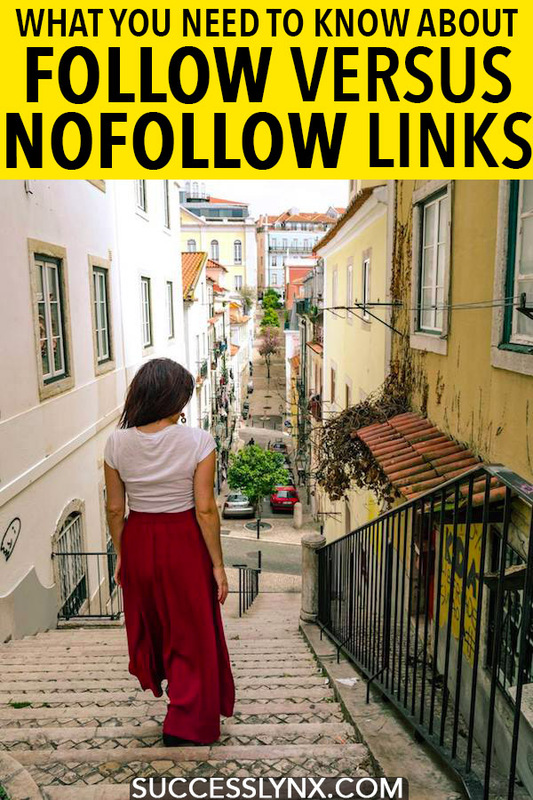 Your not-so-intimating SEO guide to follow and nofollow links, including when to nofollow a link. TDLR; When do I nofollow a link? Google determines whether your website will rank through a number of ways, including the websites that link to you. One of the easiest ways to manipulate the Google ranking algorithm is through receiving backlinks to your content. A backlink is simply when someone chooses to link to your content from their website. You probably have a good website when many people choose to link to your content simply as they feel that your content was helpful. It’s best to have a diverse backlink profile, however if you have a good website, you’ll have people coming to you to ask for links. There’s a lot of sketchy SEO stuff and we’re here to warn you about the worst of it that we’ve seen a million times. Simply, whenever you receive an unsolicited email about your website, you should be skeptical. 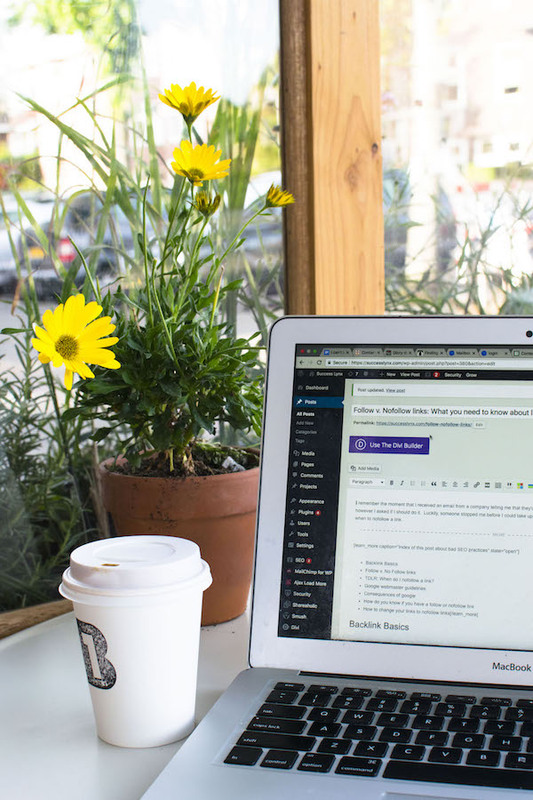 Many of those emailing you may seem helpful, even offering high quality content on your topic. However, they might want a link to a used motorcycle parts store. No thanks. Follow links are links that tell Google to follow the link to whatever website that you choose to link to. By doing so, you’re passing on your “SEO juice” to this website and signaling to Google that this website is something that should be trusted. Simply, as long as you’re not making money from a link (e.g. someone pays you) or you receive something in exchange for the link (e.g. a hotel stay), your links should be follow links. Similarly, if you’re linking to fellow bloggers or just things you enjoy on the internet, give a follow link. If a link has been paid for or you received something in exchange for the link, this should be a NOFOLLOW link. This includes affliate links to Amazon, Booking, Reward Style, and other places that pay you once someone purchases something. Google still sees that you have a link to this place, however it’s not following the link, so the full strength of your domain authority is not being passed on. In some cases, a nofollow link (e.g. from Wikipedia) can still be quite notable as they don’t give out links that often, but generally, don’t pay for a nofollow link although snagging one is nice. If you do a collaboration with another website owner without exchanging anything, your link should be a follow link. Technically, giving a follow link to someone who gives you something for free or money is “Google Illegal.” Some people choose to ignore Google’s terms for a price that they determine. (More about this below!) If your website is your livelihood, it’s your decision if it’s worth it, but don’t agree to a follow link or buy links without considerable research as it can have consequences. A lot of places get very touchy when you specify that it will be a nofollow link as they obviously gain more from a follow link. Always specify the kind of link. When you receive something for free, you’re paid by a company, or a link is an affliate link, the link should be nofollow. Everyone else should get a follow link. If you do a collaboration with other writers/bloggers, you should give them follow links. As with every service, there are terms of service that Google sets for its usage. Google determines many things through backlinks, so if you’re manipulating your ranking via buying backlinks, you’re about to experience a world of pain. If you want your website to rank on Google, you need to follow their terms and conditions unless you want to risk Google’s rath. This includes the cardinal rule: no link selling and buying. 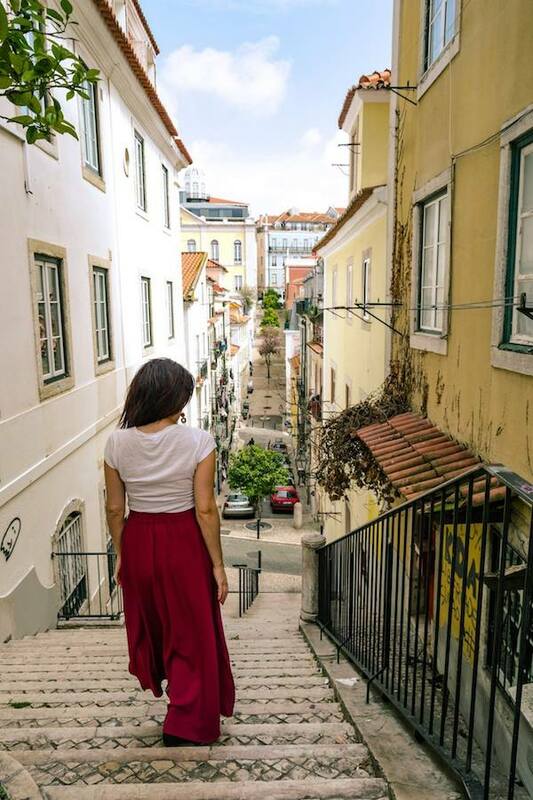 Let’s say that someone approaches you to offer you a free hotel stay, however they tell you that you must give them a follow link. Don’t agree to it without knowing the consequences… I’ll be mentioning some popular ways that people try to sneakily “buy” backlinks from you below. You typically can appeal if you did something bad and disavow your ill-gained backlinks that you paid for, however if your violation is particularly egregious or this isn’t your first rodeo, expect consequences. This can include deindexing your website from Google. Yes, say goodbye to your website on Google. Once you’re blacklisted for good, I’ve heard that Google will penalize the domain owner, so even your new website may be penalized because you did a bad thing. We’ll discuss how to deal with the disavowing bad links because you engaged in black hat SEO and got bit later. These are the most common ways that people try to sneakily get backlinks from you. You don’t need to give them backlinks, so don’t fall for these! I generally don’t link to places until I’ve vetted their spam score and what else they post about. I prefer linking to high quality, high quality websites that specialize on a topic, rather than a single post just to get backlinks (e.g. a road trip itinerary on a motorcycle parts store). You won an award! You’re so special! Someone emails you using the Skyscaper method, as we call it in SEO, telling you that they have the biggest, baddest, most amazing website on a topic that you’ve already written about. Of course, they ask politely for a link to their website. Don’t feel obligated. Someone emails you that they’ve made a super beautiful infographic that is perfectly suited to your website. However, there’s a catch: they want a link. I find that infographics do well on Pinterest, but if you’re clever, you can make your own beautiful infographic using stock resources (bigstockphoto is a favorite of mine) online. Some are straight shooters asking how much you charge for sponsored post. I typically send them my sponsored post rate, noting that I only provide nofollow links. Then, they ask how much it is for a post with a follow links. I used to not specify, but these potential advertisers drop like flies (typically) when you say it’s a nofollow link. Again, another straight shooter. Just say no unless you get them to agree to a nofollow link for a fee. This occasionally works. Sometimes, people hide their intention by having you link to a legitimate looking blog, which has cloaked sketchy links to motorcycle websites. It’s a clever way of getting links as Google looks at the link ecosystem. Scrutinize these carefully. When someone links to you, how do you know if it’s a follow link? If you’re reading this panicking that you definitely gave a follow link to someone who paid you, you can fix this easily with a little HTML. I use the Ultimate Nofollow plug in for WordPress although you can also do this manually by using the following HTML in your post if you’re on a non-Wordpress platform. …Have you given someone a follow link by mistake? Previous Post: « Listicles, SEO, User Experience & 9 Things You Simply Need to Know!